Limited. Please Inquire before ordering. 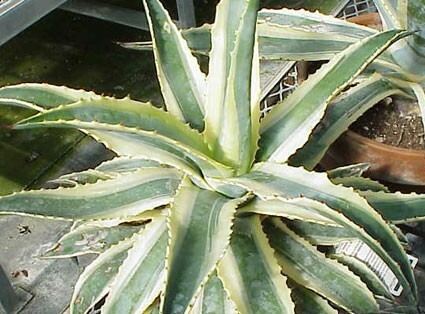 Wonderful and rare variegated and somewhat monstrose Agave. 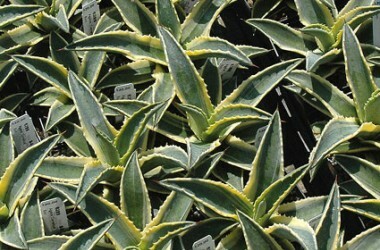 This was originally introduced and sold at his nursery in California by Ed Hummel in the 1960s. 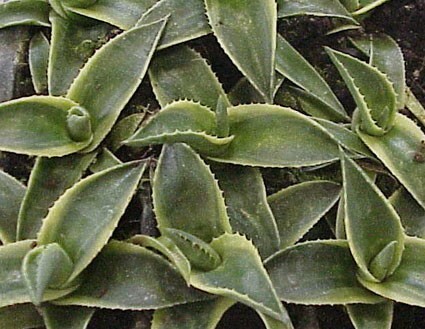 It has always been considered a rare and unusual plant as the heavily armed leaves are far more truncate and wavy than most of the cultivars of this basic species. 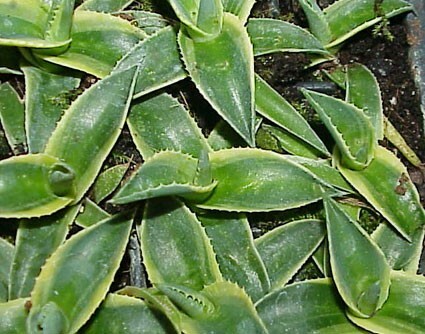 This is a meristemmed version sometimes offered under the clonal name of A. Cornelius. 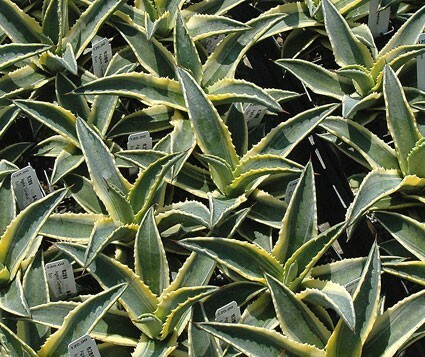 We indirectly introduced this through our mail order catalogue nearly thirty years ago from stock plants which originally came to us from Hummel's Nursery as Agave americana 'Cornelius Baja Monstrosa.' .